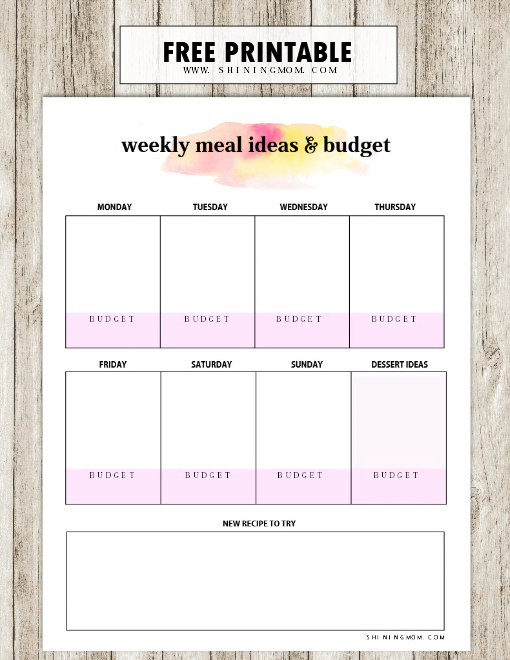 FREE Meal Planner Printable: 15 Menu Budgeting Tookit! 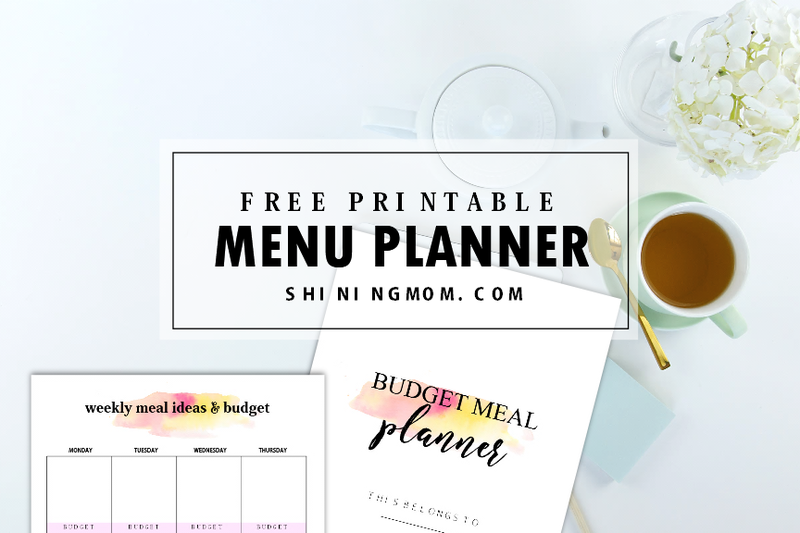 FREE Meal Planner Printable: 15 Pretty Menu Budgeting Tookit! Running the kitchen with a meal planner printable is a sure way to make your kitchen life a little bit smoother. 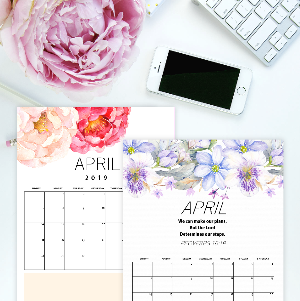 Well I guess you’ll love this pretty menu planning printable pack that I am sharing away today. It’s designed to help you plan a healthier meal for the family. I am so excited about this because it’s not just your ordinary meal planner set– it’s the kind that lets you plan your menu on a budget. Some of you might already know by now how huge I am on meal planning. 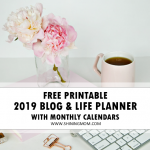 In fact, if you have the time to get into the blog’s archive, you’ll find the meal planner printable binders that I have previously shared. I love meal-planning and I do it on a weekly basis. I religiously plan out family meals because it helps me manage my time and ease the preparation. It also helps me budget our spending on food! Do you love meal planning, too? 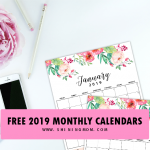 If you’re not yet into it, this free meal planner printable pack is a great way to help you get started. 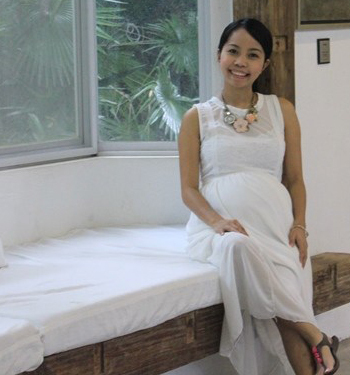 It has 15 pages of menu planning toolkit, in the most basic layout to avoid the overwhelm. 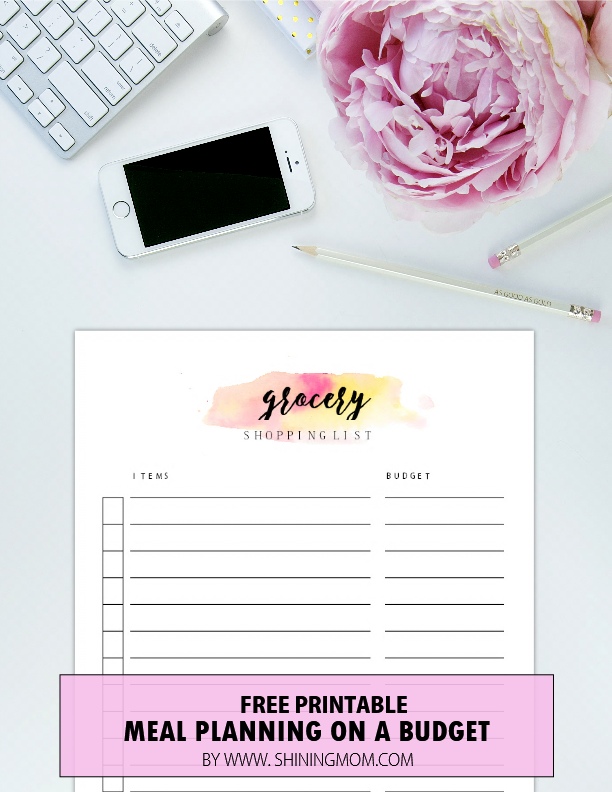 So that you can pick what works best for you, I’ve included a daily, weekly and monthly menu planning printables! Did I already say that they could be the prettiest menu planners you can get your hands into? 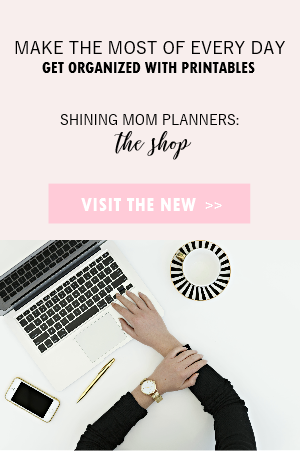 Yup, the pages are oh-so-dainty, channeling the signature Shining Mom planners look! Family’s Favorite Meals & More!!! 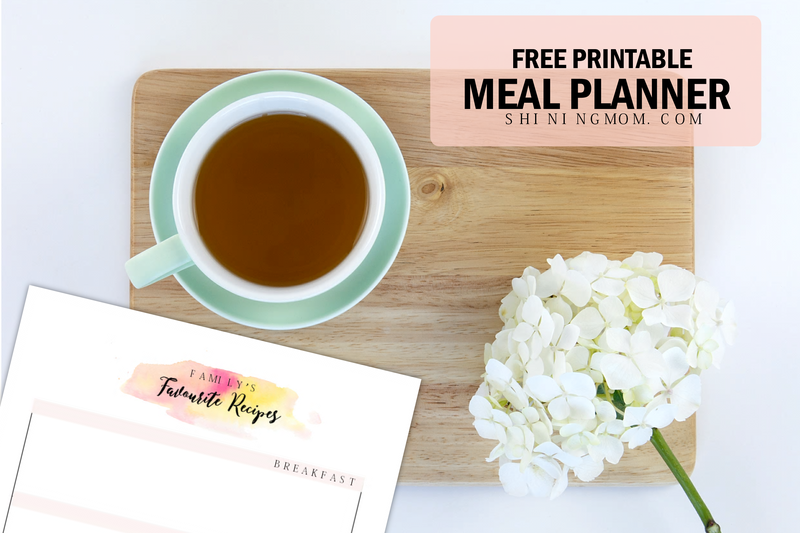 Really, this is one amazing free meal planner printable pack. I hope you’ll love to use it as much as I do. Let’s both cut down hundreds of dollars on food spending every day by planning our family menu ahead! 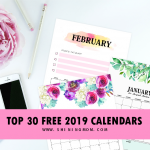 Most free printable meal planners that are available online simply let you write down your meal ideas for the month or for the week. 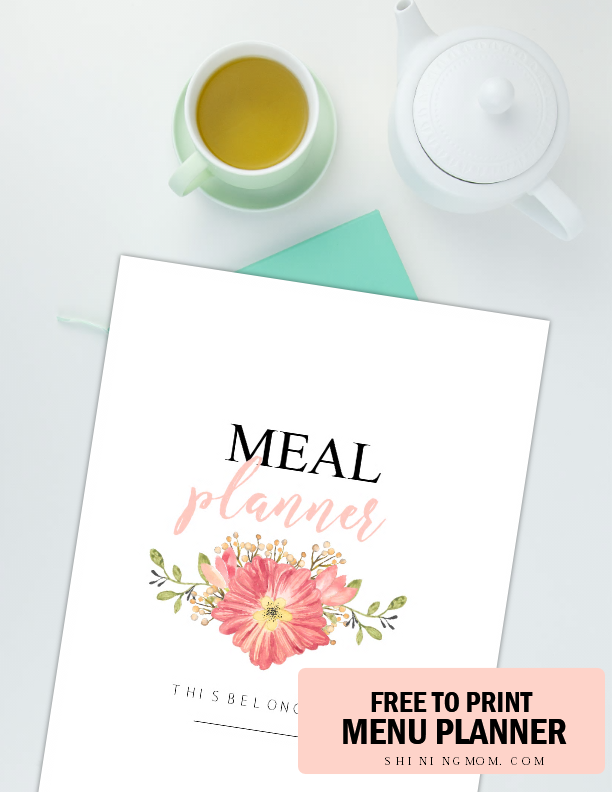 While planners like these can be very helpful, I decided to add a little twist on some of the meal planning printable pages that I have included in the pack. 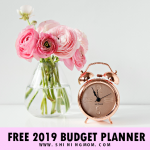 While the pack includes some classic meal planners, there are pages that allow you to really plan your meals on a budget. I’ve allotted spaces where you can track the estimated cost of each menu, even a grocery shopping list with a budget allotment column! Yup, friends! In some planners, I’ve intentionally added columns for you to set how much you’re willing to spend. A clever idea, isn’t? That way, you’ll get to save a little bit more! I believe you’ll agree with me that when you plan your meals ahead, you tend to become more aware on food spending each week. With meal planning, you’ll eventually form the habit of buying just the necessary instead of piling your grocery cart with all those sweets and junk food that are just wants, not needs. And yes, it will even help you plan healthier meals! 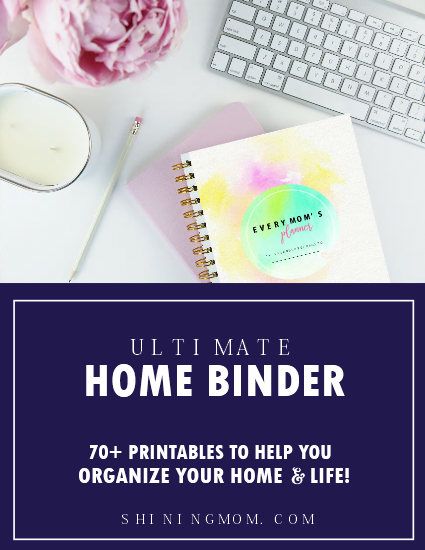 And oh, if you’re a mom looking for a complete household binder to help you manage your home, you might also like to see my ultimate planner for moms, the “Every Mom’s Planner“. 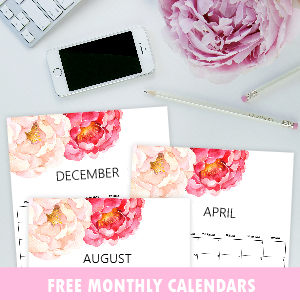 The planner has over 70 sheets of printables to help you manage a blissful and abundant home. See it for yourself HERE. 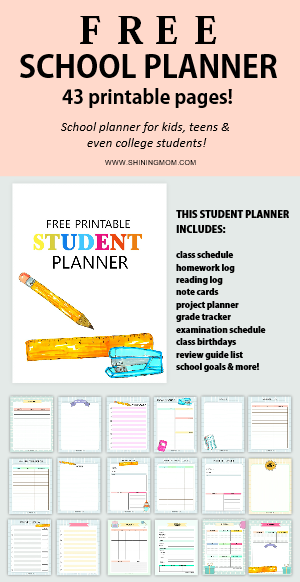 To finally enjoy your copy of this ultimate free meal planner printable pack, just go HERE. 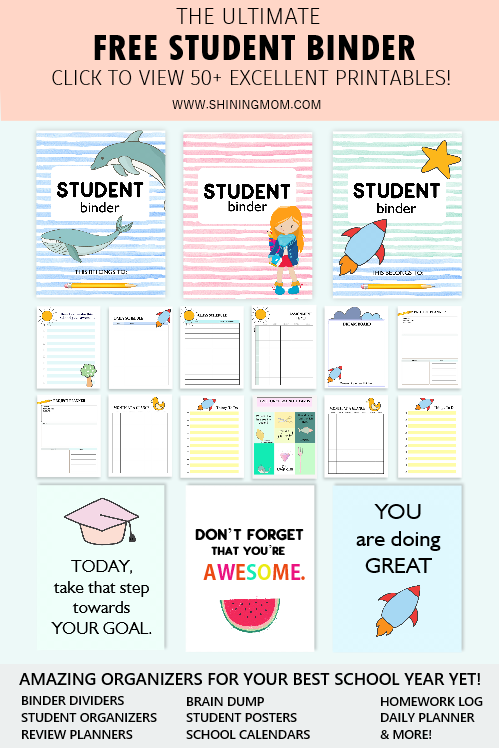 Pretty meal planning pages are waiting for you to use them! 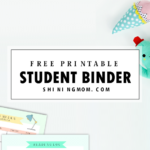 Lastly, do not forget to join the Shining Mom mailing list should you like to receive all the freebies I release on the blog. Join my community of happy subscribers here. May these freebies ease your kitchen life! Have a blissful week ahead and Happy Freebie Monday!